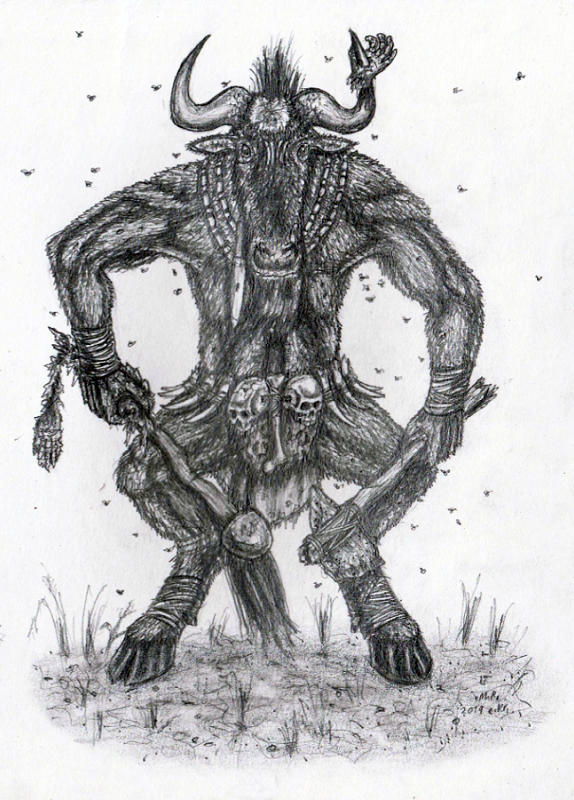 Wildebeest Minotaur concept for Beasts of the Weld (recommended intro post by @Ghiznuk). Drawn first to an audiobook version of Thucydides's Peloponnesian War, then to the tune of Hearts on Fire on repeat. Ah, yes, of course! Good point. Just say the word if I shall change the title, and to what. I thought it had to get wilder for a wild Beast, and the drawing technique itself got wilder as well.